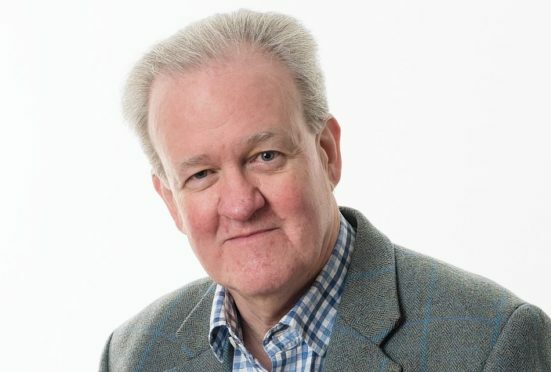 Banffshire and Buchan MSP Stewart Stevenson yesterday said it was “absolutely perverse” that Ofcom’s target for Scottish mobile coverage has fallen while rural areas are struggling for reception. Mr Stevenson expressed his anger as the UK’s telecommunications regulator admitted too many people in rural Scotland experience slow broadband and poor phone signal. Questioned by MSPs, Ofcom chief technology officer Mansoor Hanif admitted the UK Government target for 95% of the country to have 4G mobile coverage by 2022 would be missed. Mr Hanif said it was “really hard to solve” the problem, particularly in areas such as the Cairngorms where no-one wanted “to build thousands of ugly towers”. “I think we are very clear that we are not going to get to the 95%,” Mr Hanif added. Appearing at Holyrood’s Rural Economy committee, Mr Hanif said Ofcom was pursuing a “stepped approach” towards the ultimate geographical target of 95%. That involved setting “reasonable targets which operators can reach” which were at least 90% in England and Northern Ireland, 83% in Wales and 74% in Scotland. But it was pointed out that Scotland’s reasonable target had fallen from 76%. The target for England and Northern Ireland was also reduced by 2%, while Wales remained static. The SNP MSP said his Banffshire home suffered from poor reception, describing it as “zero G”. Mr Stevenson stated: “I would say that we should have no improvements in telephone services in cities, of any kind, including 5G, until we get decent rural coverage. Ofcom’s regulatory affairs manager Jonathan Ruff admitted that “more needs to be done to improve rural coverage”. He said the 74% target proposed for Scotland was coming from a lower base than elsewhere in the UK. Mr Hanif agreed that more innovative methods had to be used to bring better coverage to mountainous areas of Scotland, particularly in areas like the Cairngorms which were a national park. He said: “Technological developments such as low orbit satellites and device-to-device technology could help us go further.